MARIE PICHEL WARNER, M.D. ; ABRAHAM TAMIS, M.D. RECONSTRUCTIVE pelvic surgery utilizing polyethylene (plastic) tubing is a new method offering increased possibilities for the cure of sterility due to obstructed, partially resected, or even absent Fallopian tubes. Closed Fallopian tubes constitute one of the major causes of female sterility. The prognosis in such cases need no longer be completely hopeless, even though repeated tubal insufflations, pelvic diathermy, or other conservative measures of therapy have failed. 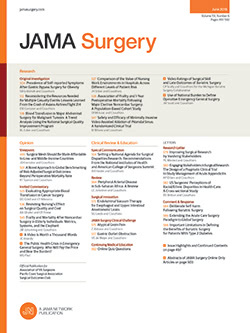 Increasing numbers of cases of successful reestablishment of tubal patency following reparative surgery are now being reported.1 The hazards from pelvic or tubal reparative surgery have been minimized through present-day understanding of reproductive physiology, chemotherapy, antibiotics, and improved surgical techniques. Results of such surgery have also improved. Therefore, tubal surgery should be resorted to if the risk and limitation of the operation have been clarified to the patient and found acceptable.